It is time to start thinking about Back to School. For those of us who homeschool it is actually back to homeschool time! 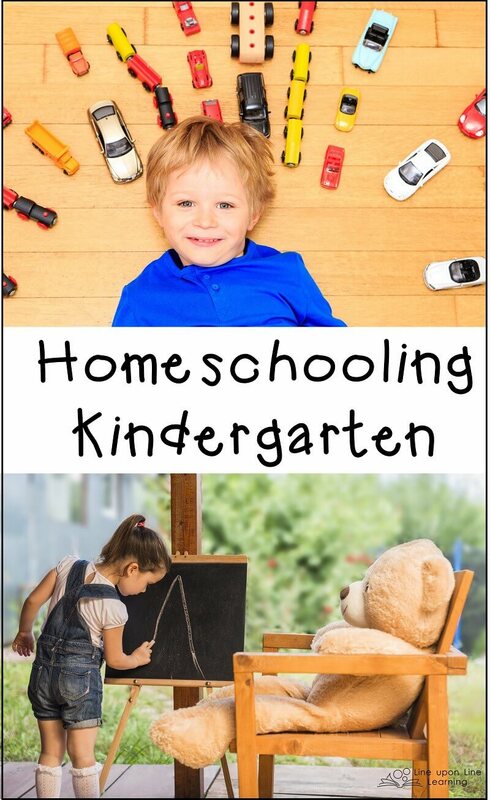 Are you getting overwhelmed at the thought of homeschooling kindergarten? Are you homeschooling for the first time? It’s not that bad. Below are some of my thoughts on my take on kindergarten. Then, keep reading! I have an amazing gift basket for someone who needs some fun kindergarten learning resources! What does one do for Homeschooling Kindergarten? If you are new to homeschooling, and this kindergarten year will be your first year, you may be a little nervous. It is my hope that these thoughts may help ease your worries a little. Kindergarten should be fun. I sincerely believe that a 5- or 6-year-old child is at the perfect stage for learning to love learning. Unfortunately, sometimes we adults think kindergarten needs to be a big deal. Over-planning is good sometimes. Better to have too much to do than too little. But trust me when I say, less is more for a kindergartner. And the key to having a successful year is making sure that anything you have planned is fun. If you’ve been following this blog for the past four years, you’ll know that I frequently re-learn this lesson at various stages of the year during my homeschool journey! I always over-plan and expect everything to get done, and then I wonder why things are not working out smoothly. There is time for formal learning: Learning the alphabet. Learning basic phonics. Eventually, learning to read. Learning to count. Learning to add numbers together to get a higher number. These concepts are important. But learning these things can be done in playful ways. For a young child, don’t expect more than 30 minutes of hard stuff a day. When the child is frustrated, stop. In kindergarten, school should equal life, which equals exploring the world. Play with water for “science” class. Or, go for a nature hike. To learn math, play a board game. So much learning happens while playing board games! Or make a store out of your toys or play food. For social studies, learn the name of your mail carrier. Then go grocery shopping or to a doctor’s appointment together. For every other subject, read, read, read, read, read! Depending on your state, there may be a need to give officials or governmental agencies formal report. Even if that is the case, simply keep track of the things you do each day. Note that this does not mean add in lots of things that cause your child to cry. That said, reporting often is not required until the child is older. At any rate, I strongly believe that homeschooling kindergarten can be lots of fun. This doesn’t mean homeschooling kindergarten won’t be a challenge. You may question your decision at times. But play with your child, read with your child, and embrace what he or she is interested in at the moment. Chances are, he or she is interested in a lot of different things. Can I Homeschool Even Though I’m Not an Expert? 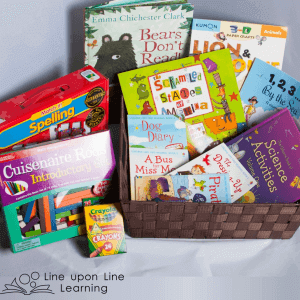 I’ve included a variety of fun learning resources in my Kindergarten Learning Gift Basket Giveaway! (Despite the name, I’m actually not including the basket.) I also apologize but this giveaway is only open to those with a mailing address in the USA. First up, three amazing picture books! In the picture book Bears Can’t Read by Emma Chichester Clark, George the bear finds a book and is determined to learn to read! The other bears reject his intentions, and sadly, the local villagers don’t quite understand either. (They think he is scary.) But a little girl sees his vision and works with him. I like how this book depicts learning to read as a process (once he is allowed to learn, that is!). He has to learn his letters; he has to work hard at his reading practice. Your child will likewise need to practice and learn “line upon line” (if you will) in order to learn to read. See my Bears Can’t Read mini-review on YouTube. 1, 2, 3 By the Sea by Dianne Mortiz is a fun rhyming picture book with, as the title suggests, a visit to the beach and a boy counting the things he sees. This is another example how kids can learn concepts (like counting) by living every day life. Just as the boy in the book counts the things he sees (the seagulls, the sand towers, the fishermen), you and your children can count wherever your life takes you! The Scrambled States of America by Laurie Keller is also a lot of fun. In this book, the states are bored so they switch places! After you read it for a few laughs, read it again. You can consider it a brief introduction to the geography of the United States. Find your own state and see what the silly comments in the book may indicate your state likes. Learn about where it moves to. Find information about the states you have traveled to or where family and friends may live. This is a picture book that offers a lot to kids, whether they are kindergarten aged or in second grade. See my Scrambled States of America mini-review on YouTube. My daughter loves the Match It! simple spelling words puzzles. Even if your kindergartner is not ready to start a formal reading program (and even if you are still working on learning the alphabet), playing with word puzzles is a great early literacy activity. Your kindergartner can match the pictures even if he or she cannot yet read or piece together the words! I also included some early reading books, the first four books in the Usborne Very First Reading library. This learn-to-read set provides two sides of reading, one for a parent or teacher and the other for an emerging reader. Your kindergartner may not be ready for these books now. The good news is that despite being beginning readers, they still have amusing stories! So many beginning readers are dull dull dull. Not these ones! See more at my Usborne Books and More consultant site for an overview of the Very First Reading Library. For math, I think kindergarten is the perfect time for exploring mathematical concepts. For this, I’ve included an introduction set of wooden Cuisenaire 1 centimeter rods. These helps children learn the comparison values of 1 through 10. I used the Miquon math program with my kindergartner. Before you jump in to that program, I suggest you view the play videos at Education Unboxed for ideas on getting familiar with the rods. Kindergarten is also a perfect time for science exploration. The Usborne Book of Science Activities (Vol. 1) gives you some guidance on what you can do with your kindergartner. It covers science with water, science with magnets, and science with light and mirrors. You can read it with your kindergartner. However, I’d instead suggest you read a 2-page spread yourself, then get the household materials out and start asking questions with your little one. Let your kindergartner explore! You will have so much fun and learn a lot in the process! I also added a box of crayons (because drawing, too, is a learning activity!) and a 3D Paper Crafts: Lion and Mouse activity book (it looked like fun!). This set of learning activities that I’m offering is probably not going to be a full kindergarten curriculum for you, but these items will give you a good start. To enter this giveaway, fill out the form below. You will need to subscribe to my newsletter. But you’ll want to anyway! In my newsletter, I’ll send you amazing learning and teaching ideas, homeschooling insights, and parenting thoughts, as well as great deals and coupons as I have them to offer. 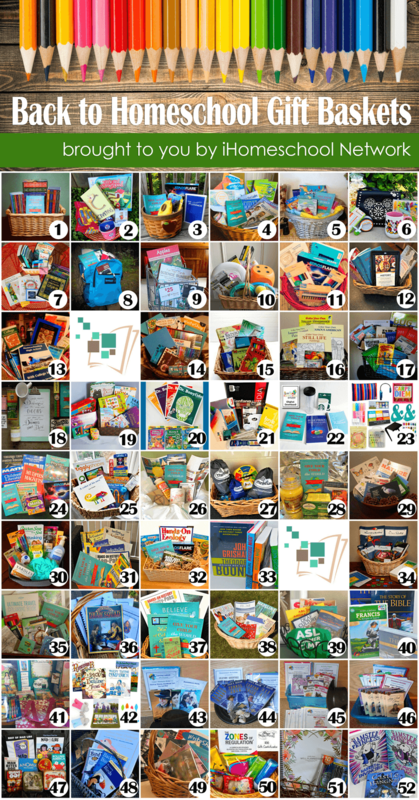 Win more homeschool back-to-school giveaway baskets! Check out all of them at the iHomeschool Network hub. This gift basket is full of wonderful things! Thank you for saying there is time for formal learning later. I am always made to feel guilty by my mother-in-law (who lives with us) because my son is 5 (almost 6) and I don’t think a child should have to sit at a desk and do “traditional” school work as she calls it. Instead my son and I do things together and talk about what we are doing and why. He doesn’t understand math concepts yet he can tell you how much change you should get back…lol. Even if I don’t win the gift basket, I am still a winner for having found your blog. It is an excellent source of inspiration and has helped heal the anger I have been feeling towards my mother-in-law. Kryste, your comment made my day. I blog because I love to. I feel it makes me get more organized and at least more thoughtful about my homeschooling, but I wonder sometimes if my voice just is lost among the masses and I’m just talking to myself! Anyway, I’m so sorry to hear about the difficulty of family not quite understanding homeschooling. My mother was a public school teacher, so she wasn’t quite sure in the beginning either! I am so glad my words helped you, and I hope I can continue to do so, for you or whoever needs to hear it!